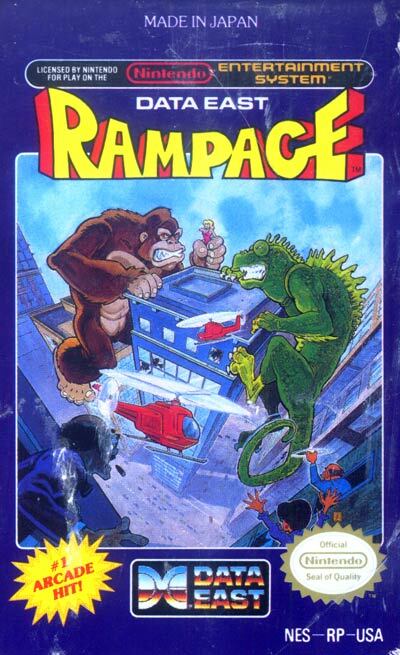 Two simultaneous players can control the monsters George (a King Kong-like gorilla) and Lizzie (a Godzilla-like dinosaur/lizard), created from humans who were mutated by various methods. They need to destroy all buildings in a high-rise city to advance to the next city. On their way they can destroy helicopters, tanks, taxis, police cars, boats, and trolleys, as well as eat people. The monsters can jump and climb buildings, and attack enemies and buildings with punches. Buildings also take damage when jumped on.